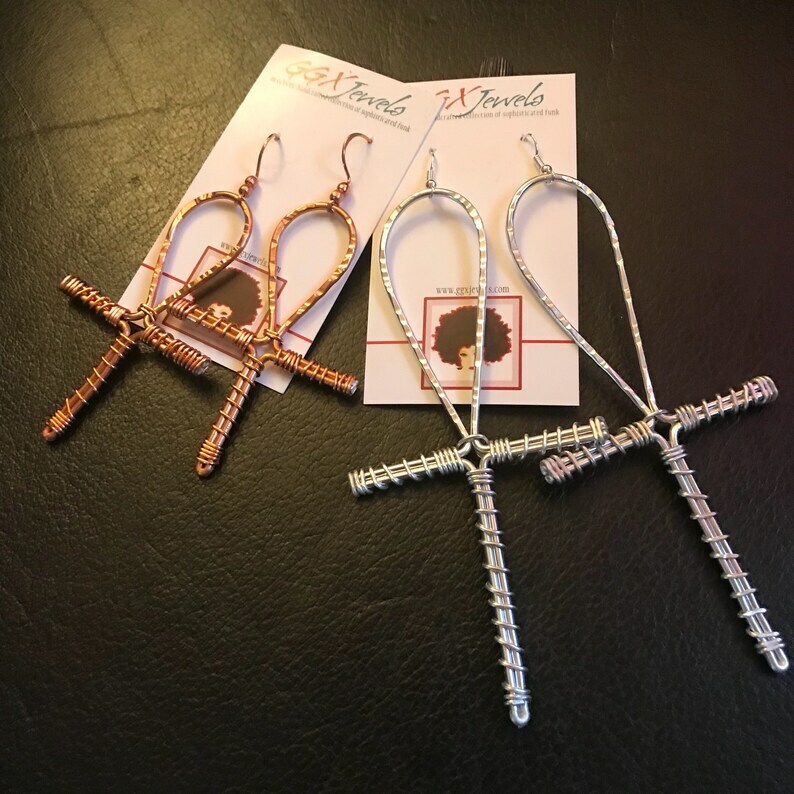 Select a color Silver Gold Copper CUSTOM - message me! Select an option standard 2.5" large 3" XL 3.5+"
NEW DESIGN!!! The Ankh is the ancient Egyptian symbol of [eternal] life - also sometimes referred to "The key of life". in my own intricate, artistic interpretation of this powerful Egyptian symbol. Made to order. Shown here in Large, but other sizes are available! Due to my creative process - I retain artistic/creative license in the design. Items ordered will be very similar to what is seen here - but NOT identical. 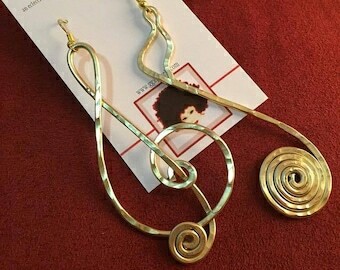 That is the BEAUTY of wearable art! Each pair is CUSTOM made to order, and processing & shipping time is approximately 3-5 business days - depending on how many orders are in the queue. If you require special Rush Order service, please let me know.